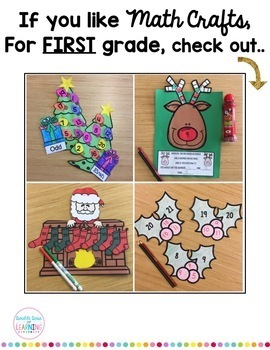 Challenge students this holiday season by incorporating interactive seasonal extensions to your lesson with craftivities or math art. 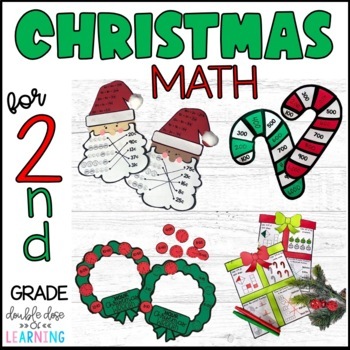 You will find all you need for 4 different easy-to-prep craftivities which will make the perfect Christmas hallway or bulletin board display! 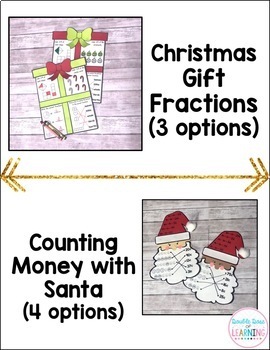 Fractions, time to the 5 minute, Addition and subtraction of money and counting by 100's are the concepts you will find within this resource which are aligned to the common core standards for second grade. 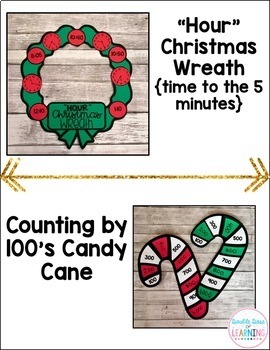 *"Hour" Christmas Wreath (Time to the 5 minute).